Based on the latest CCD technology, combined with Interwrite Software, multitouch capability is brought to the Mecer IWB. It allows you to write, erase, move objects and control applications on the IWB with your finger without having to access additional tools. You can also write or move objects with the board’s pen. The multi-touch capability can bring flexibility to your classroom. This CCD board takes innovation and collaboration to new levels, enhancing interactivity and work efficiency. 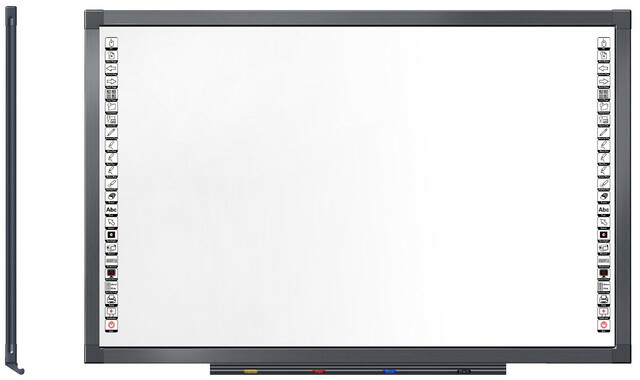 The Mecer I-84 Interactive Whiteboard (IWB) comes with a software program called Interwrite. It can be used with previously prepared documents Word, Excel, PowerPoint, Internet and PDF files, enabling these documents to be annotated and saved with annotations to be reviewed or edited in future. All work created on the Interactive board can be saved and then opened and edited at a later time.